A recent report from Elephants Without Borders has detailed a sighting of 48 elephant carcasses in a single day whilst flying over an unnamed region of Botswana, currently believed to be one of Africa’s worst poaching hot-spots. 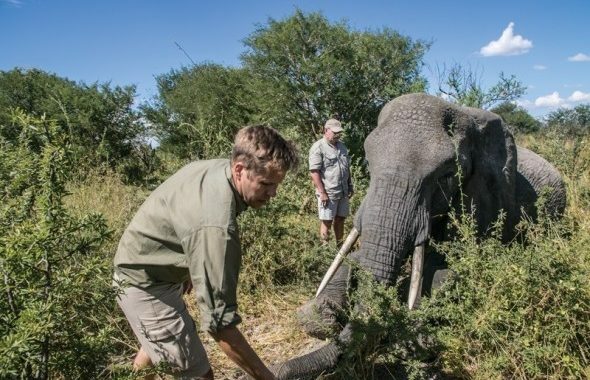 A report issued by the organisation, which coordinates the Great Elephant Census, provides devastating details about this mass poaching incident, with Dr Mike Chase, Founding Director of the organisation, revealing that he “has not seen so many dead elephants anywhere else in Africa”. Photos courtesy of Dr Mike Chase and Elephants Without Borders. The elephant carcasses are presumed to have been poached as all had their skulls chopped to remove their tusks, and many carcasses were covered by cut vegetation – believed to be an attempt to conceal the poachers’ crimes. According to Dr Chase, “the varying classification and age of the carcasses is indicative of a poaching frenzy which has been ongoing in the same area for a long time”. Dr Mike Chase, Founding Director of Elephants Without Borders. Wildlife ACT encourages its supporters to share the news of these ongoing crises in African conservation, and to travel responsibly. We recommend applying pressure to tour companies operating in Botswana and throughout Africa to ensure that operators contribute holistically to important conservation issues and empower local communities.